Tabletop Towns, the creators of cheap but great looking cardboard terrain, have returned to Kickstarter with a set of science fiction habitation units. 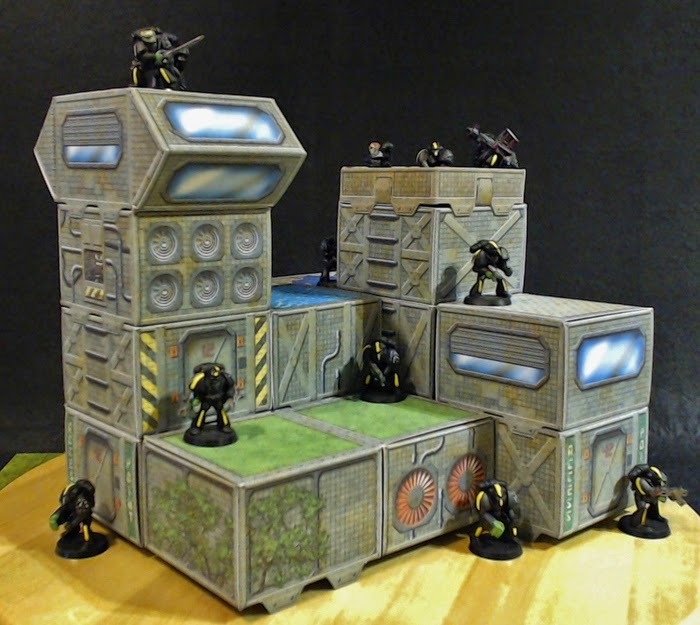 Hab Cubes contains a set of muscular cardboard ‘units’ that can be arranged in a variety of configurations and is suitable for any 28 to 32mm scale science fiction miniature wargame. 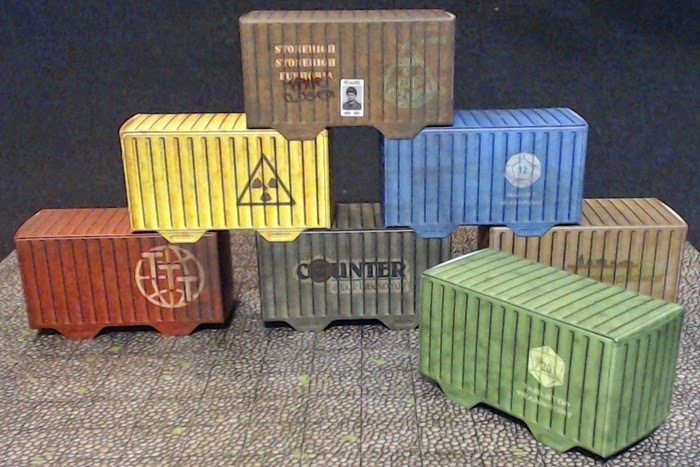 I backed Tabletop Towns previous project, a set of cardboard cargo containers and I’m really happy with the quality and if you missed out last time these containers are available as an add on to the hab cubes. Hab Cubes is looking for £4,395 and a basic set of Hab Cubes will set you back £20.